Like the dog that didn’t bark in Sir Arthur Conan Doyle’s tale, little advertising promotes American goods in Khartoum. Washington has banned most business with Sudan. As I point out on Forbes: “Sanctions have become a tool of choice for Washington, yet severing commercial relations rarely has promoted America’s ends. Nothing obvious has been achieved in Sudan, where the U.S. stands alone. It is time for Washington to drop its embargo. U.S. sanctions are not watertight, but America matters, especially to an underdeveloped nation like Sudan. At the Khartoum airport I spoke with an Egyptian businessman who said “sanctions have sucked the life out of the economy.” A Sudanese economics ministry official complained that “Sanctions create many obstacles to the development process.” In some areas the poverty rate runs 50 percent. Today Washington’s main complaint is that Khartoum, like many other nations, has a relationship with Iran and Hamas. Yet Sudan has been moving closer to America’s alliance partners in the Middle East—Egypt, Saudi Arabia, and the other Gulf States. In Libya Khartoum has shifted its support from Islamist to Western-backed forces. Economic penalties also were used to punish the government for its brutal conduct in the country’s long-standing ethnic wars. 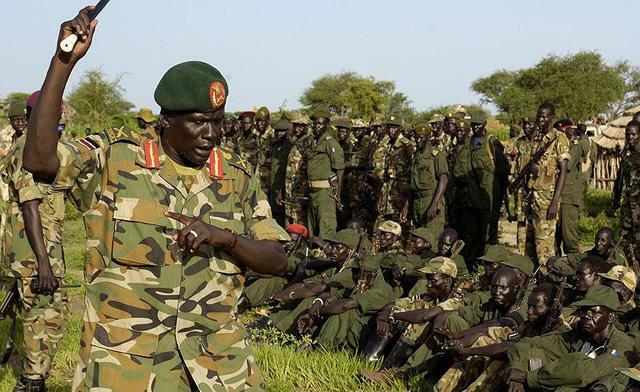 However, a peace agreement ultimately was reached, leading to the formation of the Republic of South Sudan (recently in the news for its own civil war). A separate insurgency arose in Sudan’s west around Darfur starting in 2003. Also complex, this fighting led to the indictment of Sudanese President Omar al-Bashir by the International Criminal Court. But the Darfur conflict has subsided. Some fighting persists along Sudan’s southern border, particularly in the provinces of Blue Nile and South Kordofan (containing the Nuba Mountains). Although still awful, this combat is far more limited, indeed, hardly unusual for many Third World nations. There’s no obvious reason to punish Khartoum and not many other conflict-ridden states. Nor have sanctions moderated Sudan’s policies. Is there any other reason to maintain sanctions? Politics today in Sudan is authoritarian, but that has never bothered Washington. After all, the U.S. is paying and arming Egypt, more repressive now than under the Mubarak dictatorship. Khartoum also has been labeled a “Country of Particular Concern” by the U.S. Commission on International Religious Freedom. Yet persecution problems are worse in such U.S. allies as Pakistan and Saudi Arabia. The only other CPCs under sanctions are Iran and North Korea—for their nuclear activities. Ironically, by making the penalties essentially permanent the U.S. has made dialogue over political and religious liberty more difficult. Khartoum deserves continued criticism, but sanctions no longer serve American interests. Washington should lift economic penalties against Sudan.